When babies start to coo and gurgle, parents listen attentively, waiting for the magical sounds they want to hear – their name. But who comes first, Mama or Dada? While open to speculation among parents, research suggests there is a clear winner. Linguistic experts continue to debate whether D’s are harder to say than M’s but Heather Goad, a professor at MacGill University, is firmly in the Daddy camp. She states D’s are more difficult to pronounce because of the tongue gesture required. But difficulty or not, the first person a child identifies is not who people usually think it will be. Cross cultural research on baby’s first words shows that the clear winner is Dada. Tardif and colleagues found in over 900 babies, age 8 to 16 months from English, Cantonese, and Mandarin speaking homes, Dada was the most common first person identified. Mama is not far behind but it does lead to questions as to why in mixed gender homes, Dada seems to come first? Mothers are often astonished and confused at Dada being the first ‘person word’ a child says, especially if they have been at home with them for any length of time. But have no fear – it’s not what you think. The reason Mama usually follows Dada is that she is not the first person a baby sees as being separate from them. To understand this we need to put these words into developmental context. Shyness instincts in a baby start to appear ideally at age 6 to 7 months. At this time they will demonstrate a clear preference for a primary caretaker. By age 8 to 9 months they will ideally be on their way to demonstrating object permanence, meaning they understand that if someone goes away that they can also reappear again. Babies at this age also begin to understand causality meaning they see they have an impact on the world through their actions. For example, they start to understand that their coos can draw a parent near as well as their cries. This is important as far as the naming process goes. For a child to start to name things, objects need to take on a more permanent form. When mothers are the primary attachment, babies are still quite fused to them well into their first year of life. The first separation they see from themself is to their father. Dada is usually the first person they identify outside of the mother and baby bond. Mama usually follows on the heels of Dada and indicates that a child is starting to use words to name permanent objects in their life. What this indicates is a small developmental miracle, a child is being born as a separate, unique being. The ability to name a separate person and to see them as a unique being is a developmental achievement. Three year old’s are often adamant that you call them by their preferred name, with proclamations such as, “I am not your honey, I am Matthew!” They are quite sure they can “do it MYSELF” as if to alert us that indeed, a separate being has formed and is on their way to realizing their own will. 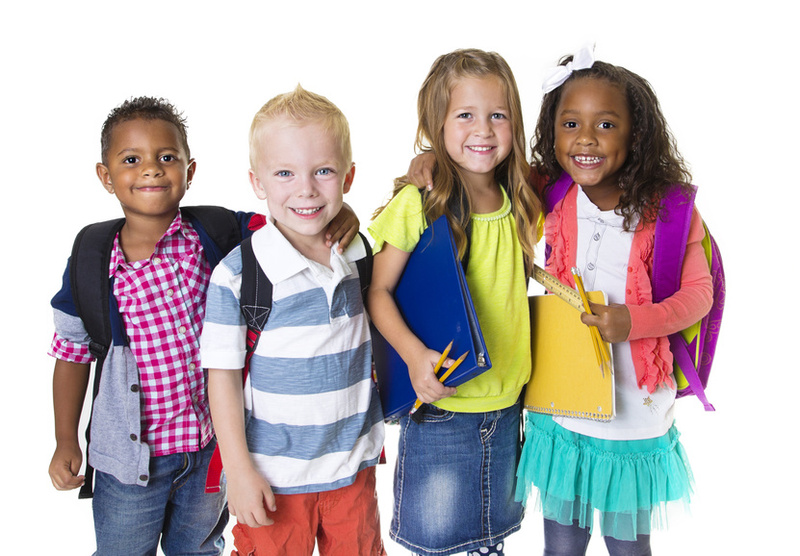 The developmental trajectory of names in a young child reveals the length of time it takes to grow them as a separate person psychologically. In the first three years of life, over 100 billion brain cells will form 1000 trillion connections allowing them to put the pieces of their world together into a coherent whole and for their narrative to take shape. One of the most remarkable developments in the first three years of life is how they come to grow as a separate person and start to develop their own ideas, preferences, desires, and intentions. While it may start with Dada, the pronouncement of “I” is indicative of a psychological self being born. For the next two to three years the “I” will continue to develop as a child makes sense of their world and discovers their own words and meanings for it. It takes time to grow a separate self and this should be a child’s main preoccupation between the years of 3 to 6 years, thus giving them the appearance of self absorption. 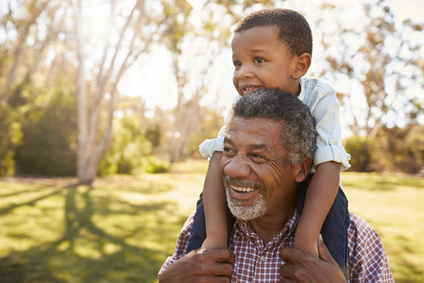 The child needs time to develop as a whole person and this is achieved with a focus on the self as governed by instincts, emotions, and brain development that is underway. Between the age of 5 to 7 years, brain growth should ideally allow a child to consider two separate reference points at the same time. This means they will be able to take into account their own needs, as well as those of others while interacting with them. The “I” can now shift to “WE” and the young child starts to evolve as a social being. At this time, they should be able to handle themself better in social settings and are more likely to meet social expectations for conduct and performance. The birth of a child as a social being rests on how they unfold first as a separate self. 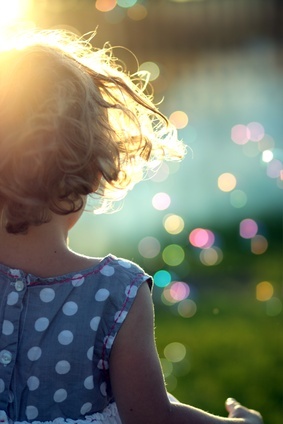 Those magical words at around age 3 – “ME DO,” indicates things are well underway. While Dada is the first person a baby usually identifies in their life, it is only just the beginning. It is the start of a journey to understand who they are and to be able to use their words to share their experiences with others. Dr. Deborah MacNamara is the author of the best selling book, Rest, Play, Grow: Making Sense of Preschoolers (or anyone who acts like one). She is also on Faculty at the Neufeld Institute and the Director of Kid’s Best Bet, a counselling and family resource centre. For more information please see www.macnamara.ca or www.neufeldinstitute.org. Tardif, T., Fletcher, P., Liang, W., Zhang, Z., Kaciroti, N., & Marchman, V. A. (2008). Baby’s first 10 words. Developmental Psychology, 44(4), 929. Young children are hungry for attachment because they lack self-sufficiency and are highly dependent on us for caretaking. By the time they reach 5 to 7 years of age, they should be able to play more freely on their own, take responsibility for simple things like getting dressed, and even start to do chores such as cleaning up their toys. Whenever children can take for granted their attachment needs will be met, they will no longer be preoccupied with pursuing us. In other words, when you can count on your caretaker, you no longer need to cling to them. Kids who are clinging to us when they are no longer preschoolers may be doing so out of insecurity. It is security in the attachment relationship that frees children and allows them to let go of us. Attachment isn’t the enemy of maturity but insecure relationships will be. The prerequisite for growth is resting in the care of an adult, in other words, a child shouldn’t have to work for love. 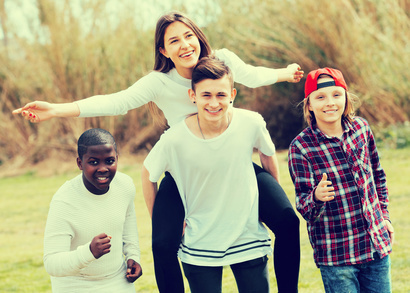 There are many ways kids can work at getting their relational needs met with the following just a sample of some of the ways. For a child to rest in someone’s care it means they need to be able to take this person’s relationship for granted. 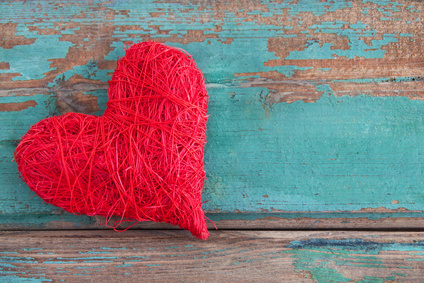 When kids feel they matter just as they are, they don’t have to alter themself in order to work for love. The goal is to be both caring but firm while inviting our kids to depend on us. There are a few things we can do that make a significant difference this way. Make it safe for them to depend on us by not using what they care about against them (e.g., sanctions and withdrawing privileges) or forms of separation based discipline such as time-outs or ‘123 magic’. Dr. Deborah MacNamara is on Faculty at the Neufeld Institute, author of the best-selling book Rest, Play, Grow: Making Sense of Preschoolers (or anyone who acts like one), and the Director of Kid’s Best Bet Counselling and Family Resource Centre. Why is it that young children can lock down in protest at the mere suggestion of getting dressed or undressed? Why do school-age kids seem to resist directions and expectations when homework needs to get done? Why do some teens oppose and rail against rules and limits around technology use, driving them to push back at parents? At first glance, these scenarios seem unrelated … except for their capacity to ignite parental frustration and persistence. But they all share similar roots. Kids come with an instinct to resist and oppose, or do the opposite of what they are told but this isn’t news to parents or teachers. What may be surprising is that resistance can stem from the counterwill instinct that is innate to all humans. The term ‘counterwill’ was first coined in the German language by Otto Rank, a Viennese psychoanalyst and student of Freud’s. This construct was further developed by Dr. Gordon Neufeld, using the lenses of attachment and development. Counterwill refers to the instinct to resist, counter, and oppose when feel controlled or coerced. You can feel it arise inside of you when someone tells you want to think, do, or feel. This isn’t a mistake or a flaw in human nature, and, like all instincts, serves an important function. The challenge for parents is that immaturity makes a child more prone to expressions of resistance. Counterwill is an innate response designed to protect the self when feeling coerced or when facing separation. 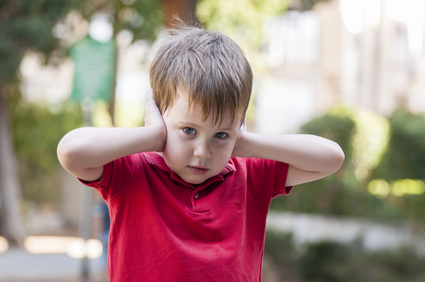 Children are designed to be directed by people they are attached to – which makes them prone to resist people who they are not connected to. If a stranger starts to tell a child what to do, they should be resistant to their directions. Not just anyone was meant to ‘boss’ a child around. This is a good thing, and preserves a parent’s natural place in a child’s life as being the one to care for them. Why do kids resist parents they are attached to, though? The answer is because our ‘have to’s’ have become greater than the child’s ‘want-to’s.’ In other words, their instinct to resist has become greater than their desire to follow – which could be due to the amount of control or coercion they are experiencing, a reflection of the depth of their attachment to a parent, or their level of immaturity. A child’s resistance doesn’t mean we have to abandon our agenda, but it does mean we will need to figure out how to hold on to our relationship while steering through the counterwill impasse. The counterwill instinct is also important in helping pave the way for separate functioning and becoming a unique self. Part of figuring out who you are involves placing a moratorium on other people’s views, agenda’s, wants, and wishes. When other people’s voices are louder than your own, the counterwill instinct helps to create some space through resistance so that you can develop your own perspective. While it may be problematic for parents to be resisted, it can serve an important developmental role in helping a child develop their own mind. Counterwill responses in kids are not confined to the home and occur to other adults like teachers. The younger and more immature a child is, the more important a working relationship with their teacher will be in order to learn from them. Attachment is what opens a child’s ears to real and lasting influence – not coercion, bribes, threats, rewards, or punishment. The more responsible a parent feels to lead a child and to care for them, the more provocative acts of resistance and defiance can seem. It is sometimes challenging for parents not to react out of their own counterwill instinct when their children are locked into resistance. What is true is that the more you push a child who is resistant, the more they can push back and exhibit greater opposition. This can lead to an escalation of tension and conflict that erodes your relationship – ironically exactly what is required to render resistance less prevalent in the first place. 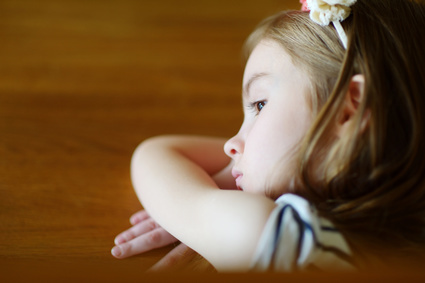 Constant battles can create insecurity and anxiety in kids and can adversely impact their development. The challenge is not to take resistance personally and even expect it. The challenge is to remain in the caretaker position and lead through the counterwill storm. Some of the strategies below require maturity in the parent and the capacity to see the big picture. It is relationship that opens a child’s heart to being influenced by us and serves to create the ideal conditions for development. So what are you supposed to do when your young child refuses to get dressed, or when your child refuses to do homework or obey technology rules? 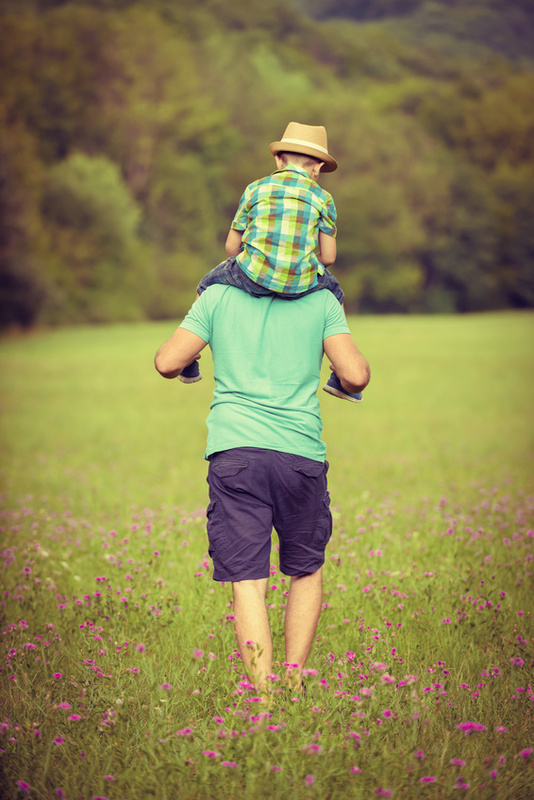 What makes a child amenable to following a parent is connection. Before we direct them, we need to get into relationship by collecting them – that is, catching their eyes, getting a smile, focusing on what they are attending to – all before proceeding with our requests. If we need to talk about something that isn’t working, like homework time, then it is best to collect them first to make them amenable to influence. Sometimes when we make requests of our kids we are talking in a coercive manner to counter their resistance before it begins. Statements like, “You have to …” or “You must …” or “You need to …” all serve to raise the counterwill instinct. Consequences are also commonly used to get a child to comply, with statements such as, “You need to do this, or else,” which only exacerbates a child’s resistance. Press pause, side-step, and revisit the issue when in better attachment. Make some room for their own ideas and initiative. If a child is old enough to get dressed or organize their homework, then perhaps it is time to put them in charge of these things? If they are eager to have their own mind and exert their own wishes and wants, then carving some spaces and turning over age-appropriate tasks to them may be a helpful strategy. The types of activities that you would not want to turn over to them would include anything to do with their caretaking such as food, or who they spend time with. If our reactions to a child’s counterwill have created distance in the relationship, then giving it time and returning to the child to make amends may be necessary. It can be simply done with an apology and an indication that you wish things would have gone better in the discussion. While our children may claim, “You’re not the boss of me,” we don’t have to take it to heart or react to it. We just need to lead through the counterwill storm, knowing we are their best bet and that they should feel safe and secure in our care. It is okay for our kids to have their own mind, but this doesn’t mean they will always get their own way. One day the child will be the ‘boss’ of him or herself and until our job is done, we need to make some room for them to flex their wings, but not let go of our caretaking responsibilities. For more information on dealing with counterwill in kids, please see the Making Sense of Counterwill course through the Neufeld Institute, and read Chapter 9 in Rest, Play, Grow: Making Sense of Preschoolers (or anyone who acts like one). Learning ‘feeling’ language to communicate one’s emotions is a critical developmental milestone in the early years. The following picture books are some of my favourites when it comes to helping kids take a step back from their emotional world and learn words they can use to describe it. What I appreciate most about these books is they do not categorize feelings into ‘good’ or ‘bad’ but take a shame free approach to describing their character’s emotions which helps to normalize them. 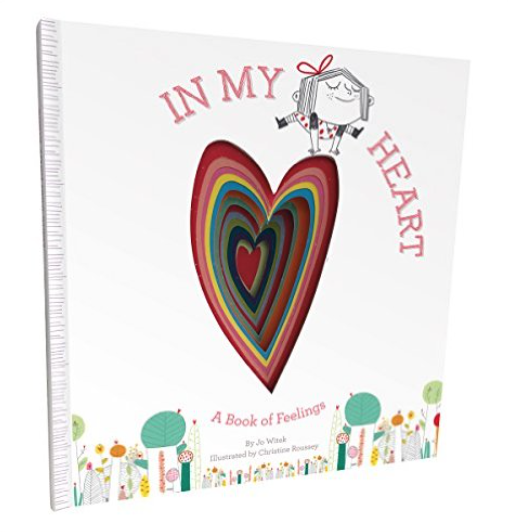 The first steps in emotional development is being able to express your feelings and be able to give names to your emotions – these books help set parents and kids on the right track. 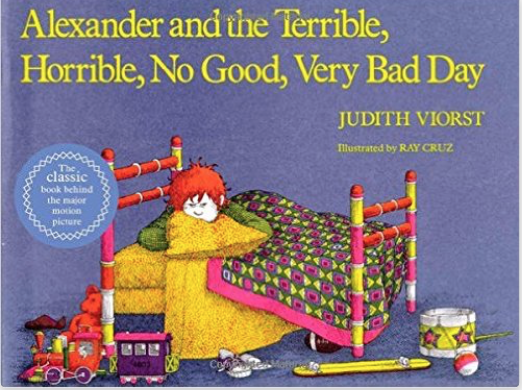 A humorous walk through a bad day with a relatable character named Alexander. Kids and parents will be able to sympathize with his plight and can use it to draw on in real life bad days. The frustration in this child is big, so huge in fact that it threatens to swallow his parents. The images are outstanding and help convey the alarm that kids feel when their frustration and attacking energy is present. 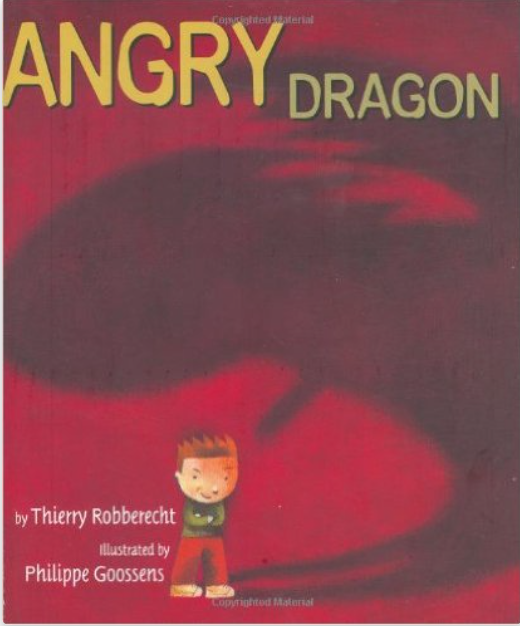 The answer is tears which eventually come and help to quiet the angry dragon inside the little boy. One of my favourites and something every child and parent can relate to – hearing ‘no’ when you really want a ‘yes’ when asking for a cookie. 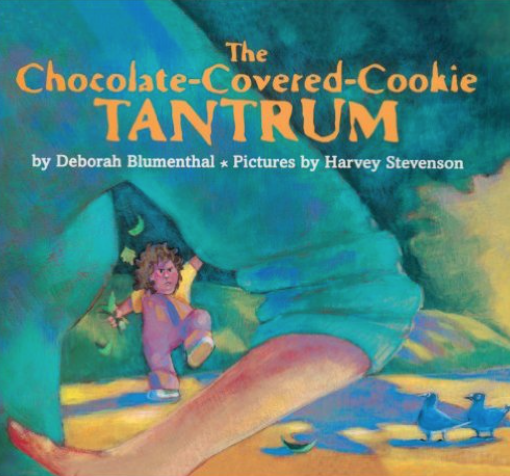 The story takes you on a journey through a child’s tantrum until the child relinquishes their pursuit of the cookie that will not be. In the end it is the tears that save the day. I laughed out loud reading this book. Finn doesn’t want peaches for breakfast and proceeds to express foul frustration in response to his parent’s efforts to feed him. 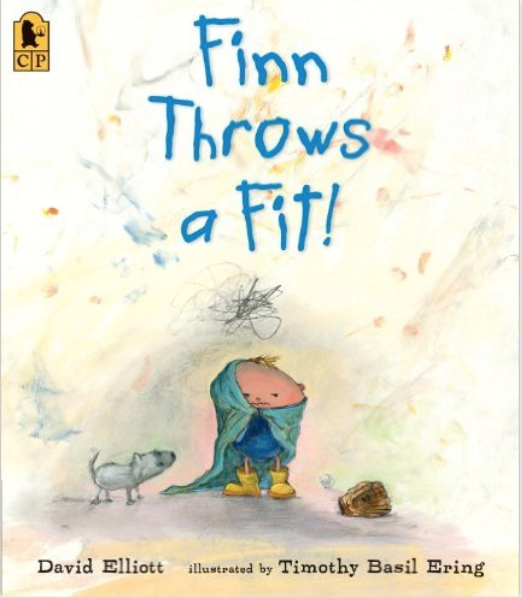 Finn takes us through the horror of a tantrum, rich with imagery that conveys the strength of his emotion. In the end it is his tears that help him face his peaches and decide that he really does want them after all. The layering of a child’s heart in this book is beautiful and takes us on a journey to the center. This is a well loved book in my house. 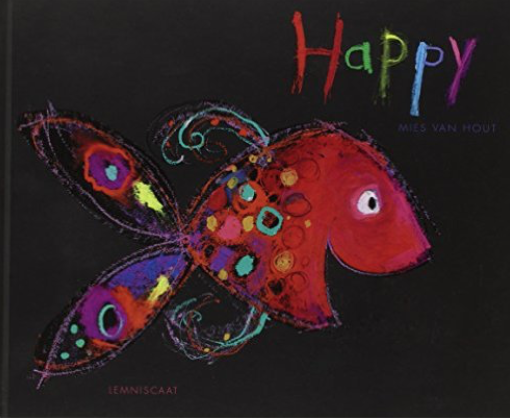 Beautifully illustrated, each page portrays a fish experiencing a particular emotion. 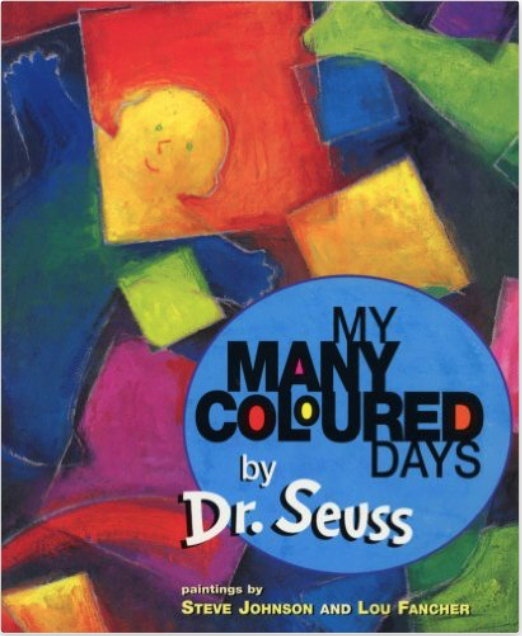 From happy to sad, this book can serve as a prompt for discussion on how kid’s may feel on any given day. The colour of each day conveys different feelings from grey days to yellow ones. Feelings are nuanced with the rich use of images and colour, conveying a range of emotions and a language to go along with it. Human potential is a wonderous thing. From physical transformation to psychological development, our capacity to evolve and burst forth with new possibilities sneaks up on us as if by magic. This is evident as I watch my friends and family members reveal their shock as my kids become teenagers, “Wow, she is growing,” or “I can’t believe how tall she is now!” I love how growth seems to surprise us over and over again, honouring the wonderful mystery it represents. Within our children lies dormant the potential for growth. The type of human potential I am referring to is not about academic achievements, social status or good behaviour, individual talents or gifts. It is about the potential for maturity and how they are meant to evolve as socially and emotionally responsible individuals. 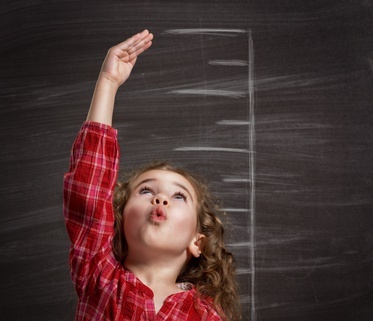 As parents we look for signs that measure whether our kids are on track developmentally. Based on the maturation theory as synthesized by Gordon Neufeld, there are three vital signs that can help us take our children’s developmental pulse and consider how they are unfolding. Signs of good development include whether they are moving towards becoming a separate, social, and adaptive being (1). Becoming a Separate Being – As a separate being a child should be moving towards increasing independence and taking responsibility for decision making. They should be forming a sense of agency and steering confidently towards their own goals and ideas. Realizing one’s potential as a separate being means a child sees oneself as a unique being and will rarely be bored, will be full of vitality, and curious about the world around them. Signs of becoming a separate being in a 3 or 4 year old includes being able to play on their own for short periods of time and sometimes getting upset by limits and restrictions imposed on them. The more a child starts to grow and form their own intentions, the more frustrated they may become when they are thwarted and told no. A child at this age may show signs of wanting to do things for themselves such as getting dressed, be toilet trained, and can readily tell you their own ideas and meaning about the world they see. As a child enters the middle years at around 8 to 11, they will have clearer preferences and ideas about what they like and who they are. Their particular interests may start to take shape and they may make commitments towards particular activities. They will ideally be able to take more responsibility for household chores as well do their homework with little prompting. They enjoy having a little more freedom and being able to voice their ideas to those they trust. The 14 to 15 year old that is developing as a separate being should ideally be okay with solitude and be able to fill their time with creative endeavours such as drawing, writing, painting, playing music, or physical activity. They should be able to form goals and steer towards them with confidence, for example, wanting to work harder to get better grades or learn a musical instrument. They may become frustrated with friends that are ‘copy cat’s’ or who cheat in order to get ahead. The more a teen is in the process of becoming their own person, the more they will push against the ideas of others in order to make room for their own; in short, they become allergic to coercion. Becoming an Adaptive Being – As a child unfolds as an adaptive being they should show signs of being able to persist in the face of challenges. They should grow increasingly resourceful and resilient, and be able to overcome adversity. They are able to cope confidently with stress and can accept not getting their own way all the time. As adaptive beings they are able to let go of their demands when proven to be futile. In other words, they can hear the word no and accept the consequences that come with this. Kids who are adaptive learn from their mistakes and also benefit from correction. The 3 to 4 year old is in the throes of just starting to understand the limits and restrictions that are part of their world. 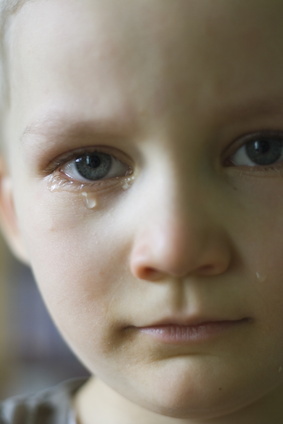 Tears are a common occurrence for many of them, especially when they are told no. With enough patience from their adults and walking them through their big feelings while facing limits, they should come to accept the futilities that are part of life – such as no cookies before breakfast and no running around naked while in public places. They are likely to erupt in aggression when frustrated given that the parts of their brain responsible for impulse control will not wire up until between the ages of 5 to 7 if development is unfolding well. By the time a child reaches the ages of 8 to 11 they should show signs of being able to weather difficult events such as tests at schools or not winning their soccer game. While they still may be frustrated with their mistakes, they are able to demonstrate more patience in the face of them not erupt with aggression each time. They should seem more resilient and resourceful as they accept the limits that are part of their life, even reminding younger children of the rules and restrictions. When it comes to school they are able to learn from their mistakes with enough care and patience, and can persist even when up against things that are more challenging for them. As a child enters their adolescent years they may protest limits and restrictions as part of their growing appetite to emerge as a separate being. By the time they are 14 to 15 years of age, they may struggle to hear our no’s, especially if being pulled in a different direction by their peers and the culture around them. At this age it is important to still maintain a relationship while preserving limits that are required, for example, around technology use or rules for dating. By this age they should have had enough experience with things that are futile that they know better when to persist and when to be the one to change. 3. Becoming a Social Being – If we want our children to realize their potential as global citizens then they will need to consider another person’s perspective while also holding on to their own point of view. Despite the myriad of competing and contrasting views, they should be able to hold onto their identity, ideas, meanings, preferences, and intentions. Being a social being means being able to cooperate, understand fairness and appreciate the context around them. It underlies healthy moral development and the capacity to use words to communicate thoughts and feelings. A 3 or 4 year old is in the middle of developing a sense of identity so becoming a social being is not on their radar. Personhood must come before community and so the focus of the young child is usually on themselves. While parents may worry that a young child is too self absorbed, it was nature’s intentions that they must come to understand oneself first before being exposed to the views and perspectives of so many others. Due to brains that are still under development, they often lack the capacity for patience and think fairness means getting their own way. They don’t mix well with others and it is quite natural for them to prefer their own company and to get lost in worlds of their own creation. As a child enters the years 8 to 11 they should be increasingly able to understand irony and paradox. At last knock knock jokes start to make sense and they are more patient when frustrated. 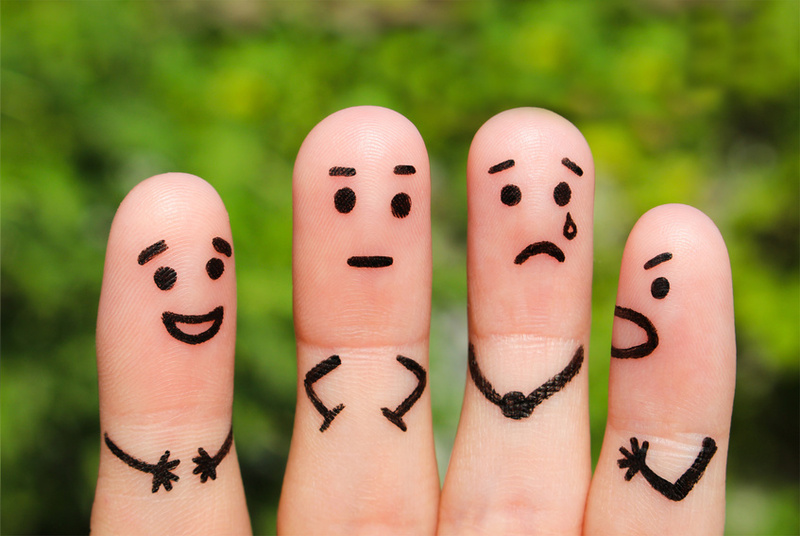 With ideal brain development they are now able to experience mixed feelings, being able to take into account someone’s perspective as well as their own. They may shown signs of true cooperation and consideration, as well as being able to act with courage. If development is unfolding well they should mix better with others and work towards solving problems and conflict. They should demonstrate more balance and stability in their emotional expression given their increased capacity to reflect and make sense of their experiences. As a child enters into early adolescence they seem to take a step backwards and become more emotionally volatile or unpredictable. This is due to changes in the brain and their expanding consciousness which can flood them with experience and emotion. By the time they are 14 to 15 years old there is ideally some levelling out and emotional stability returns. They should start to show increasing signs of seeing the world not through a single perspective but being able to take into account multiple experiences and issues. The development of moral reasoning and awakening to a community larger than oneself will be underway with glimpses appearing in their statements or ideals. Their capacity for courage will allow them to steer confidently towards their goals. By the time a child emerges from their teenage years they should be more fit for society and able to contribute back to it. Our children’s selfhood cannot be taught or forced; it must be nurtured, cultivated, preserved, and protected. The realization of human potential is about our capacity to evolve and transform as separate, adaptive, and social beings. Within each of us lies dormant the promise of a mature future but it takes time, patience, understanding, and good caretaking. Carl Jung, the Swiss psychiatrist, said it best idea when he claimed growth could only be made sense of in hindsight and not while it is unfolding. Within our kids is the promise of a mature future, one that adults in their life play midwife too. Neufeld, Gordon (2013). Making Sense of Kids: Neufeld Intensive I, Neufeld Institute, Vancouver, BC. Dr. Deborah MacNamara is a counsellor in private practice, on faculty at the Neufeld Institute, and author of Rest, Play, Grow: Making Sense of Preschoolers (or anyone who acts like one). For more information please see www.macnamara.ca or www.neufeldinstitute.org.